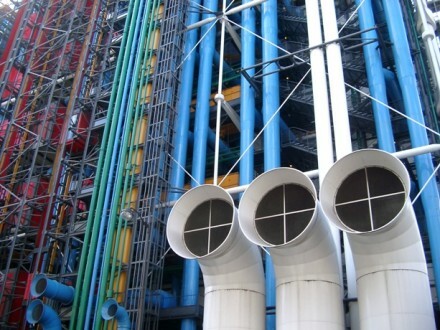 Filmed at University College London. 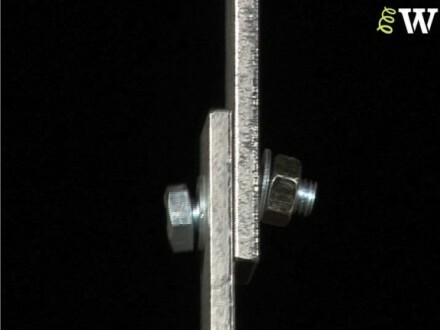 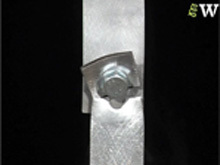 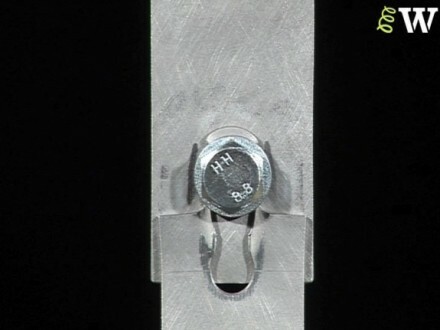 This film shows a bolted connection where the bolt fails in shear. 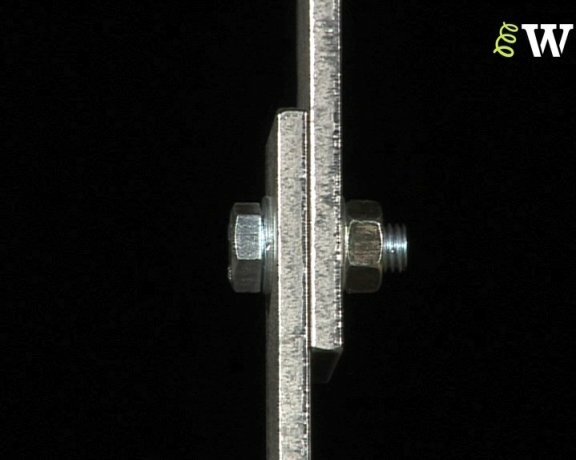 Prior to the connection failing, it is possible to see the deformation in the bolt through the relative movements of the two ends. 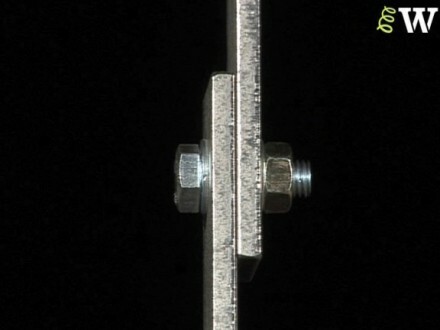 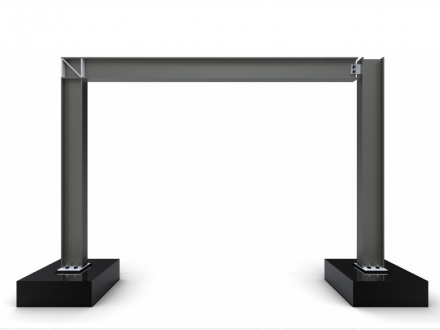 The pinned base allows rotation at the connection and fixed connections ensure the structures stability. 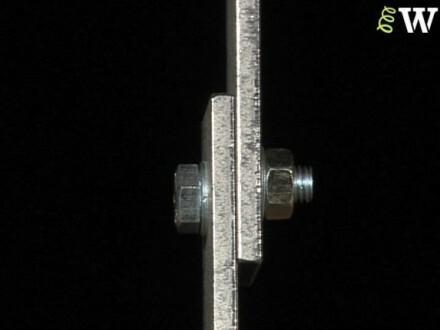 Use this Push Me Pull Me app to see how. 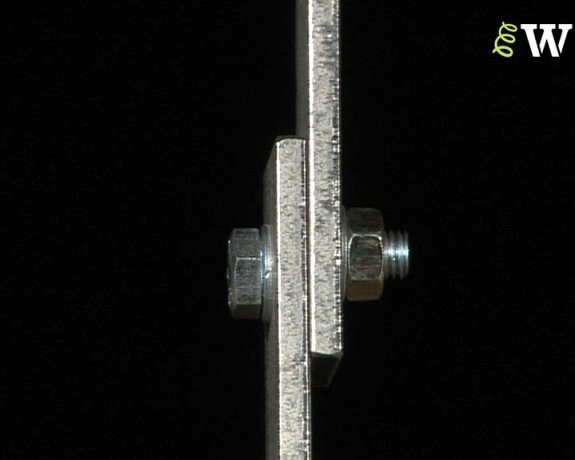 Video showing failure by plate shear of a bolted steel connection. 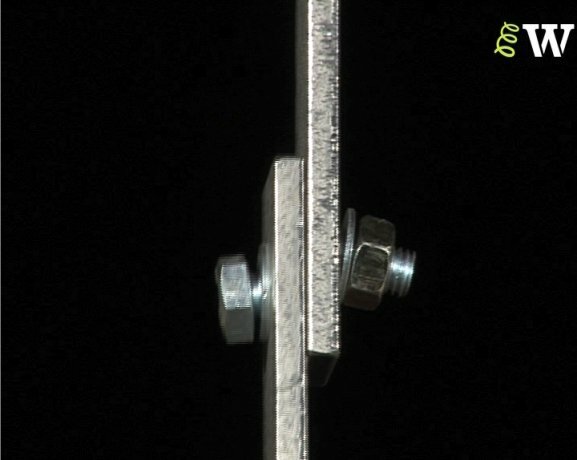 Video showing tensile failure by bolt shear of a bolted steel connection.